When you initially log into Google Analytics (GA) with your Google ID, you will be given a list of all accounts you have access to. Each account can be expanded to show all the Views you have access to. Select the appropriate View to check the data collected for your account. a bell icon that indicates alerts when necessary. Under this grey bar, on the right-side of the page, is a date-range selector. 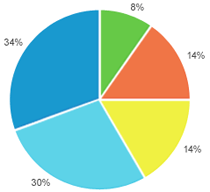 Use this to select the beginning and end of the time you would like your report to span. When you click on it, a window will open up with two calendars -- the first date you select will, by default, become your start date and the second, your end date. Click 'Apply' to finalize your selection. 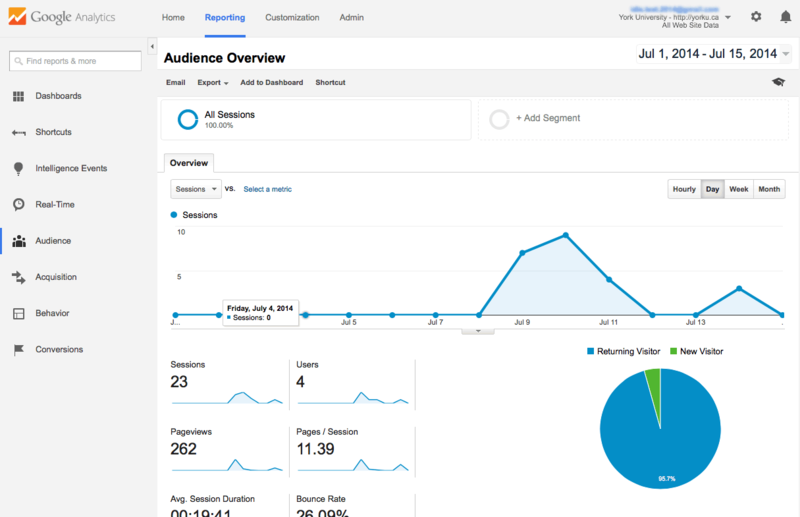 When you select your account to view, you will initially land on an Audience Overview page. This is a display that Google has determined is the information that may be of interest to you. Keep in mind that there are other areas that may be more suited to your needs. There are also ways to customize dashboards with information that reflect what you need to know about your visitor's habits. Anytime you want more information about what you can do with the elements in any section, click on the mortar-board icon in the upper-right section (near the date-range selector) of your screen for a brief tutorial about what can be done with the elements in that section. Under the title of the page you are on will usually appear a grey bar with 'Email', 'Export', 'Add to Dashboard', and 'Shortcut' listed. Shortcut will bookmark the report you are on to the 'Shortcut' section of your left-navigation. Full details about how to take your data with you can be found on the Export Data & Schedule Emails page.